David Vincent formed the World Players of Handball in 2005 and ushered live handball viewing into our living rooms for the first time. Since its inception, the World Players of Handball has broadcast over 1,500 matches live. 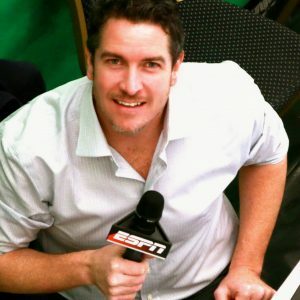 Dave Vincent serves as the lead play-by-play announcer for virtually all matches, combining his unique perspective and personality with a lifetime of handball experience. DV brings 25 years of broadcast radio experience (in Oregon and California) to World Players of Handball & ESPN broadcasts and provides professionalism and wit to the amazing game of handball. DV also serves as the Executive Director of the World Player of Handball at the WPH headquarters in Tucson, AZ, working daily to grow the game of handball through innovation. Schmitt and Esser Take the Titles!